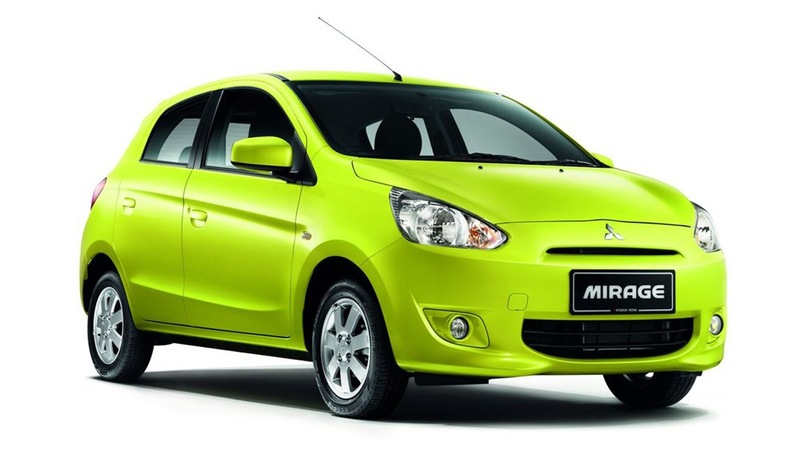 The Mitsubishi Mirage is a range of cars produced by the Japanese manufacturer Mitsubishi Motors from 1978 to 2003 and again since 2012. The hatchback models produced between 1978 and 2003 were classified as subcompact cars, while the sedan and station wagon models, marketed prominently as the Mitsubishi Lancer, were the compact offerings. 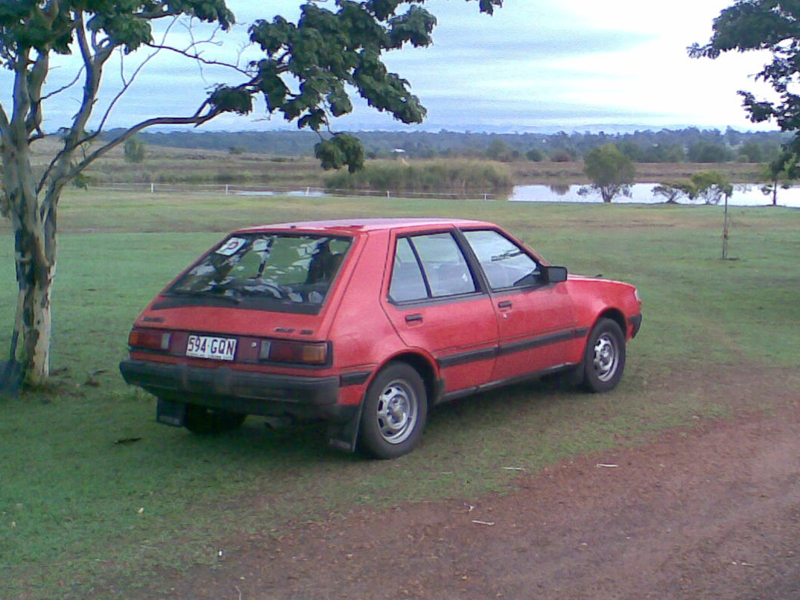 The liftback introduced in 1988 complemented the sedan as an additional compact offering, and the coupé of 1991 fitted in with the subcompact range. 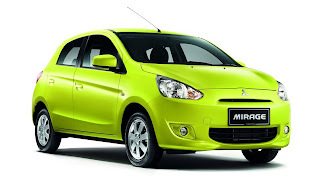 The current Mirage model is a subcompact hatchback and it replaces the Mitsubishi Colt sold between 2002 and 2012. 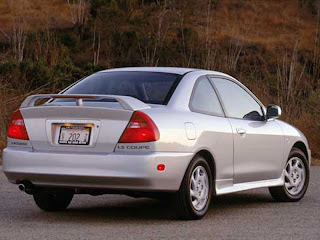 Mitsubishi introduced replacements for the fifth series of Mirage, starting in 2000 with a new generation of Lancer—now larger having and moved up to the compact segment. Then in 2002, a subcompact five-door hatchback badged Colt globally became available. By 2003, the Mirage and its derivatives had been completely phased out of mainstream Japanese production. For the 2002-era Colt's replacement in 2012, Mitsubishi decided to resurrect the Mirage name internationally for a new sixth generation model. Mirage featured four-wheel independent suspension, rack and pinion steering, plus front disc brakes. Power initially came from 1,244 and 1410 cc iterations of the familiar Orion engine, putting out 72 and 82 PS (53 and 60 kW), respectively. Of particular note, the 1410 cc variant featured "modulated displacement"—a system that could shut down cylinders under cruising or idle conditions to reduce fuel consumption. Mitsubishi added the moderately more powerful 1.6-liter Saturn engine to the range in March 1979, for the 88 PS (65 kW) 1600 GT model. A more sporting turbocharged 105 PS (77 kW) version of the 1.4-liter engine was made available in Japan from September 1982 as the 1400 GT Turbo. The Mirage also debuted Mitsubishi's Super Shift transmission, a four-speed manual with a second lever for "low" and "high" range; thus, effectively making the transmission an eight-speed unit. The Super Shift was not originally planned. However, Mitsubishi engineers had to make use of the existing Orion engine designed for rear-wheel drive applications making use of the longitudinal engine orientation. In the Mirage, sizing restraints as a result of the front-wheel drive layout required the engine to be mounted transversely, thus causing the carburetor to face forwards and run into icing issues. However, the primary implication of the Mirage's powertrain orientation—and the issue that demanded the unconventional transmission—was the mounting of the transmission beneath the engine. This required the gearbox to take power down from the clutch, an action not possible directly as this would have dictated that the gearbox rotated in the opposite direction to that required. To overcome this, the use of an extra "idle" transfer shaft was necessitated. It was subsequently realized that for a cost no more than developing a new five-speed transmission, this shaft could be modified as a separate two-speed gearbox controlled by a secondary shift lever mounted alongside the main lever inside the cabin. The ratios on this transfer transmission were, in effect, "underdrives"—consequently marked on the second shift lever as a "power" mode due to increased performance granted by the lower gearing. In contrast, the higher overdrive setting was noted as "economy". Many export markets, such as Europe and Australia received the Mirage under the Colt name. In the United Kingdom, where Colt was the marque itself, it was called the Colt 1200 and Colt 1400, after the engine displacements. Chrysler imported this generation of Mirage to the North America as the Dodge Colt and Plymouth Champ from late-1978 for the 1979 model year, in three-door form only until the 1982 model year when the five-door was added. Then from the 1983 model year, Plymouth retired the Champ and adopted the name Colt as well. In February 1982, Mitsubishi facelifted the Mirage range. Distinguished by the installation of flusher fitting headlamps that extended into the fender panels, stylists also designed a new grille insert. At the same as this facelift, Mitsubishi introduced a four-door sedan variant to Japan under the names Mirage and Lancer Fiore, which is not to be confused with the unrelated regular Lancer. The Fiore was often abbreviated to Lancer in international markets, eschewing the "Fiore" suffix. With Mirage hatchback and sedan sales in Japan restricted to the Car Plaza dealerships, the Fiore was intended to duplicate the Mirage's success at the Galant Shop—Mitsubishi's second retail sales channel. 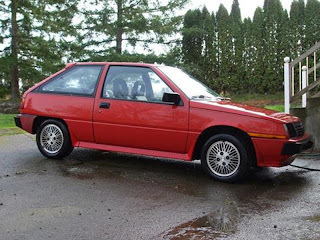 Lancer Fiore received the same 1.2- and 1.4-liter engines, and as a Mirage-derived model line, was substantially smaller than the strict Lancer. Apart from the wider axle track dictated by the switch to front-wheel drive, the original 1973-era Lancer offered a similar dimensional footprint. From August 1982, Japanese buyers could opt for the new turbocharged Fiore 1400GT—aptly named after the 1.4-liter engine specified. Mitsubishi distinguished the 1400GT with a hood mounted air intake, unique interior, uprated suspension and brakes, and the equalization of the drive shaft lengths to reduce torque steering. At the same time as the GT, a limited edition trim joined range, with the Super Edition and Mariee versions launched later in 1982. Japanese manufacture of all body variants ended in October 1983. 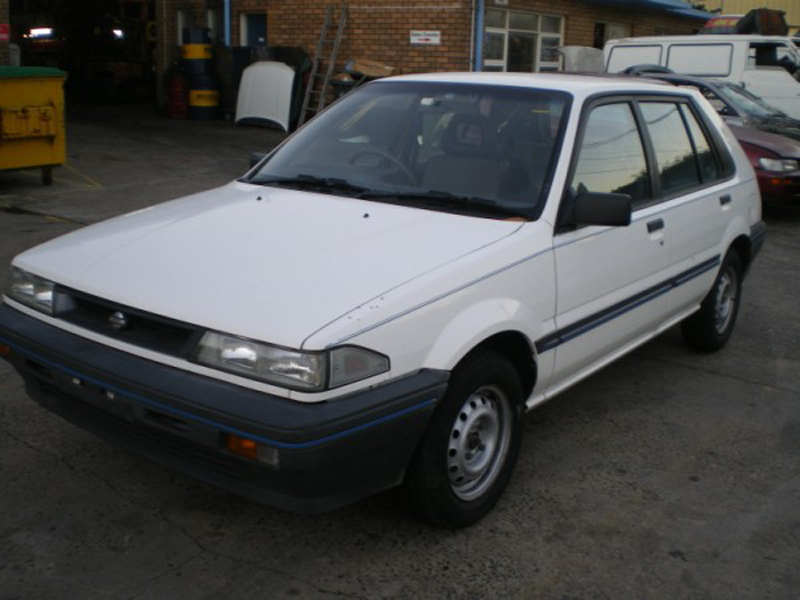 The facelifted model was also manufactured as the Colt by Mitsubishi Motors Australia at their Clovelly Park, South Australia plant from 1982 to late 1989, with sufficient inventory stockpiled not exhausting until 1990. Initially offered with the 1.4- and 1.6-liter engines in five-door hatchback form, the sedan was produced from 1984. This model was also briefly exported to New Zealand in the late 1980s, where it shared showroom space with the locally assembled third generation models. Previously, local complete knock down (CKD) assembly of the Colt took place in New Zealand by Todd Motor Corporation, including a variant called the Mirage Panther. Uprated engines were deployed into the series; 1.3- and 1.5-liter Orion gasoline engines replaced the previous 1.2- and 1.4-liter Orion units. Mitsubishi also released variants fitted with the 1.6 and 1.8-liter Sirius gasoline powerplants, and for the first time a 1.8-liter Sirius diesel was added. The 1.6-liter Sirius engine also included a turbocharged variant with between 77 kW (105 PS) and 92 kW (125 PS), featuring the latest in computer control engine technology including electronic fuel injection. Power differed for cars with catalyzers, or for markets with lower octane fuel. Some European markets received a smaller 1.2-liter "tax special" as well, with 55 PS (40 kW). The car received a very mild facelift in early 1986, along with some new engine options for the Japanese domestic market. The transmissions were updated at the same time. The Mirage was available in Europe as the Colt in 1200 EL and GL three-door trims, as the 1300 GL three- and five-door, 1500 GLX three- and five-door, and as the 1800 GL (diesel) five-door. 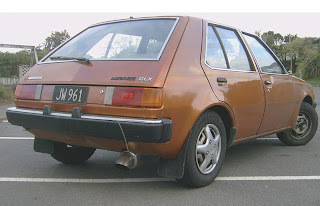 The Lancer sedan was available in the same trim levels as the hatchback model (but not with the 1200 engine), while the wagon versions were available as 1500 GLX and 1800 GL diesel only. 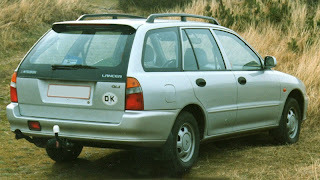 Some markets also received the 4WD Wagon with the larger 1.8 engine, although the diesel-powered 4WD remained available to Japanese customers only. Versions equipped with catalytic converters first became available in Europe in 1985, at the same time as the wagon was introduced. 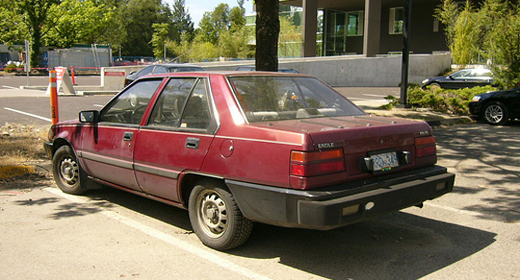 The Mirage was not sold in the United States by Mitsubishi until 1985. 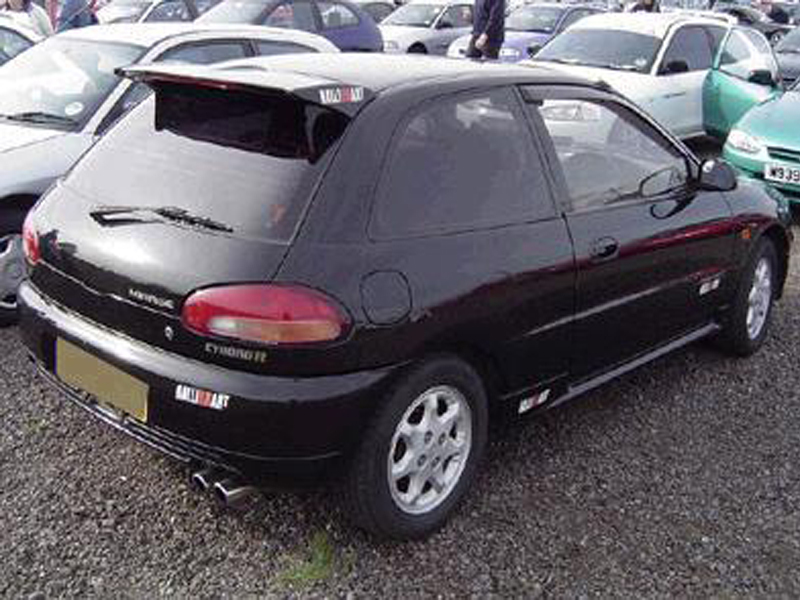 Mitsubishi licensed the "Mirage" name from Grand Touring Cars, Inc. of Scottsdale, Arizona for use in the United States, as they already owned the rights to the name with the Mirage race car series. Dodge/Plymouth Colt-branded models initially came in three-door E, DL and RS Turbo models, four-door DL, and Premier (the latter with the base or turbo engine) and five-door E, with a DL five-door offered in Canada; an E sedan replaced the five-door for 1986, and the wagon (in DL trim only but with an all-wheel drive option) joined the line for 1987. 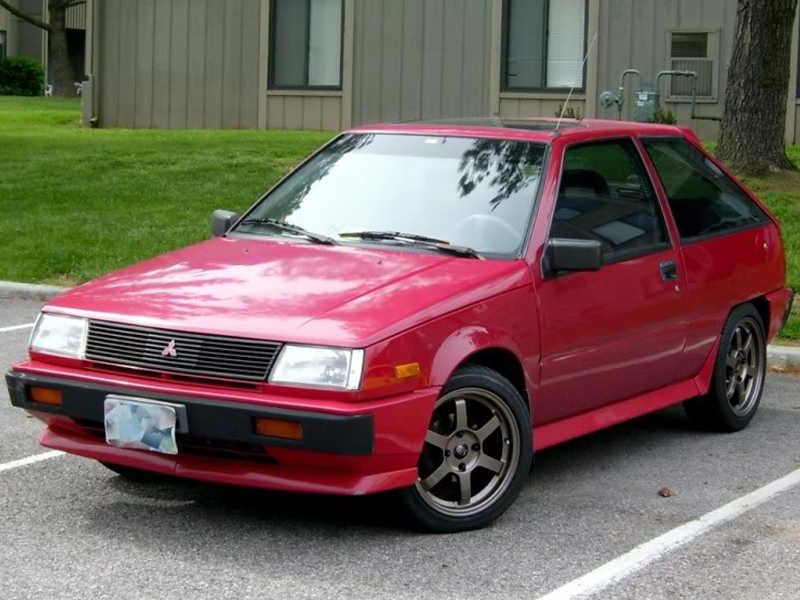 Curiously, Mitsubishi marketed the Mirage only as a three-door hatch through its own American dealers despite the five-door model having repeatedly been rejected in favor of the Dodge Omni by Chrysler's marketing organization. 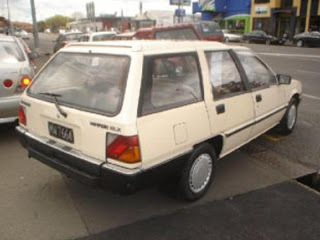 A commercial version of the wagon was sold in New Zealand as the Mitsubishi Express, replacing an earlier model based on the Galant Sigma. The two-seater commercial type was sold in the Netherlands simply as the "Mitsubishi Wagon", whereas the better equipped passenger version was called the Lancer Station Wagon. Since there was no wagon version of the subsequent generation Colt/Mirage, production of this part of the series continued until 1991. Mitsubishi in Thailand released the three-door and sedan models with 1.3- and 1.5-liter engine as the Mitsubishi Champ in 1983. 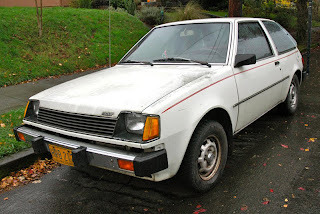 Later the series was renamed Mitsubishi Champ II and Champ III, with the hatchback and 1.5-liter versions discontinued. The Champ was retired in 1994. Engines available were 1.3- and 1.5-liter Orion gasoline inline-fours, plus 1.6 and 1.8-liter Saturn gasoline inline-fours. For Greece only, a 1.2-liter version of Orion engine available in the entry-level models outputted 48 kW (65 PS). The 1.8-liter Sirius diesel carried over from the previous shape. In Japan, four-wheel-drive versions were also available, fitted with the carbureted 1.5 and fuel-injected 1.6-liter gasoline engines, or 1.8-liter diesel. The top Mirages in Japan were called the "Cyborg", featuring the turbocharged 1.6-liter motor developing 107 kW (145 PS)—the same as fitted to the GSR sedan. The third generation received a minor facelift in 1990, with late models receiving the same engines as were seen in the subsequent generation. 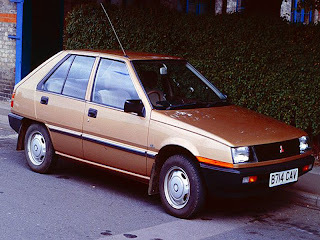 European versions were available as the 1300 GL, 1500 GLX, 1600 GTi, and 1800 GTi 16v, with the three-door labelled Colt and the sedan and liftback called Lancer. Mitsubishi retailed a Colt "van" in select European markets, being the three-door body without rear side windows and therefore attracting reduced taxation in these jurisdictions. 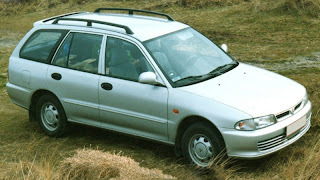 Since first generation Mirages were still under Australian production as the Colt, all three third generation body types were sold under the Lancer name in that market. Initially, the Australian-specification models were designated as the CA series when introduced in 1988, adopting the CB designation for the 1990 facelift. The liftback continued to be sold in Australia alongside the fourth generation (CC) Mirage-derived Lancer from 1992 through to 1996. Confusingly, the carry-over liftback was also given this CC model designation. 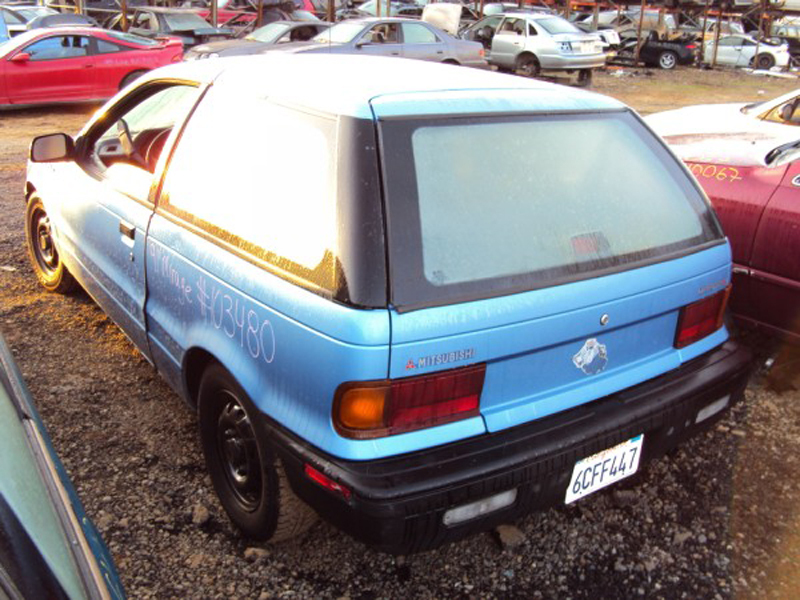 North American three-door and sedan sales occurred under the Mitsubishi Mirage name for the 1989 to 1992 model years. Badge engineered variants were also sold in the US as the Dodge/Plymouth Colt (three-door only), and Eagle Summit. In Canada, a Dodge/Plymouth sedan was also offered as the Mitsubishi brand did not operate in the market until the 2003 model year. For the Mitsubishi-badged versions, the top hatchback carried a 1.6-liter 4G61T turbocharged inline-four engine rated as 101 kW (135 hp). For the 1991 model year, the 1.5-liter 4G15 engine's new three-valve heads boosted power from 60 to 69 kW (81 to 92 hp), and a new GS sedan offered the 1.6-liter 4G61 with 92 kW (123 hp) and a standard four-speed automatic transmission. 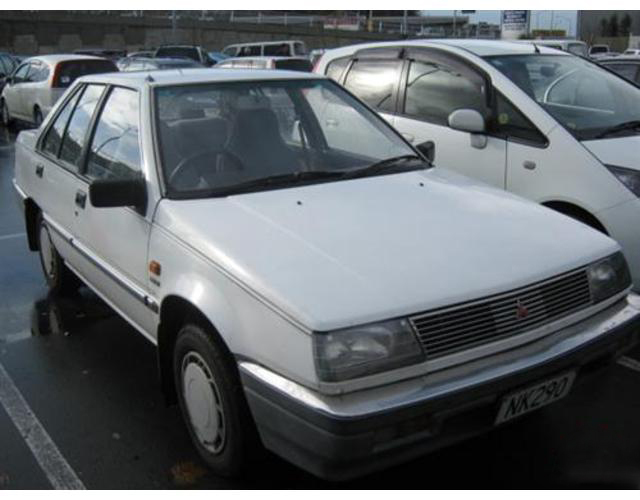 In October 1991, the fourth generation Mirage made its debut for the Japanese market alongside the related Lancer. Departing from the previous series, the new Mirage adopted a much rounder body shape—a change duplicated by much of the automotive industry in the early-1990s. As before, the Japanese Mirage lineup comprised the three-door hatchback (now called Mirage Cyborg) and sedan (now with a six-window glasshouse), plus a new coupé body type suffixed Asti. 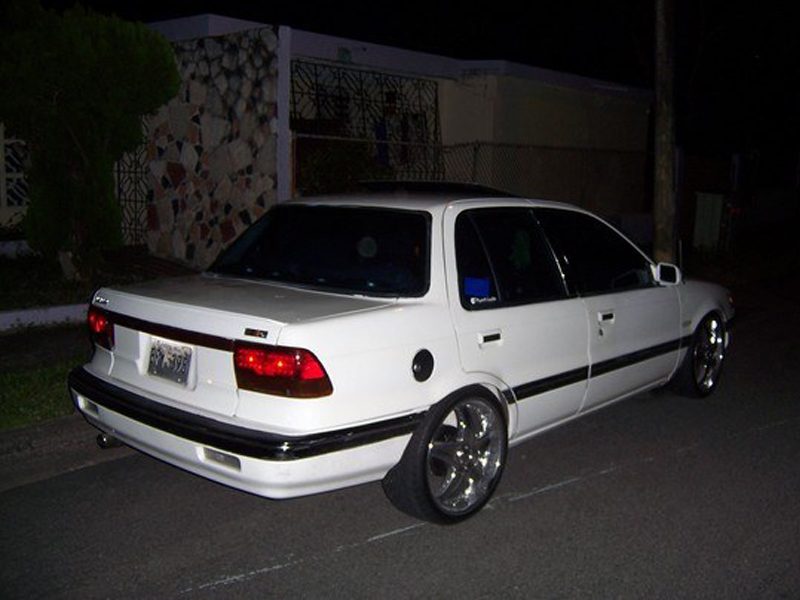 Lancer variants sold in Japan offered unique body variants—a four-windowed sedan and from May 1992, a station wagon suffixed "Libero". 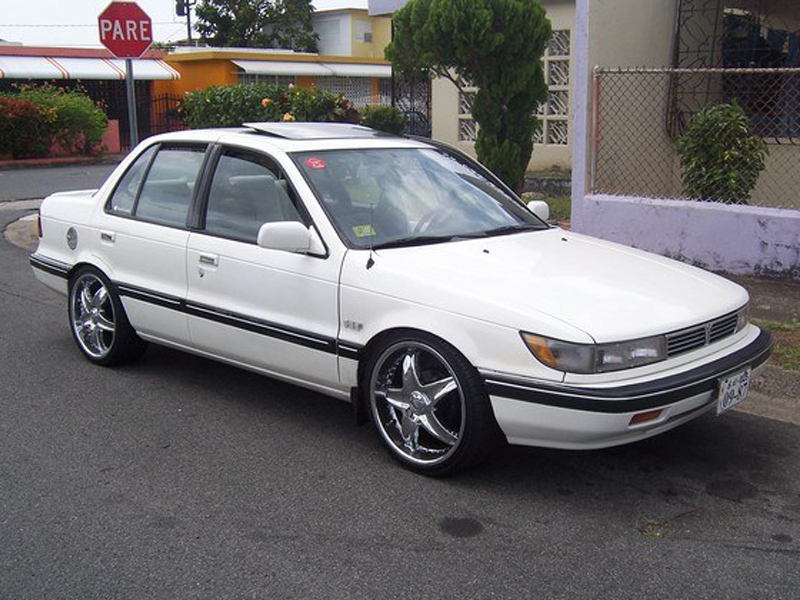 The wagon was still sold as of 2012 in Belize, however as of 2013 the model is no longer offered on the website. Unlike prior generations, the Japanese market Lancer range co-existed with greater differentiation when compared to the Mirage. The Mirage with its sportier appearance and tapered hood, featured elliptical headlamps with a very narrow single-port grille. 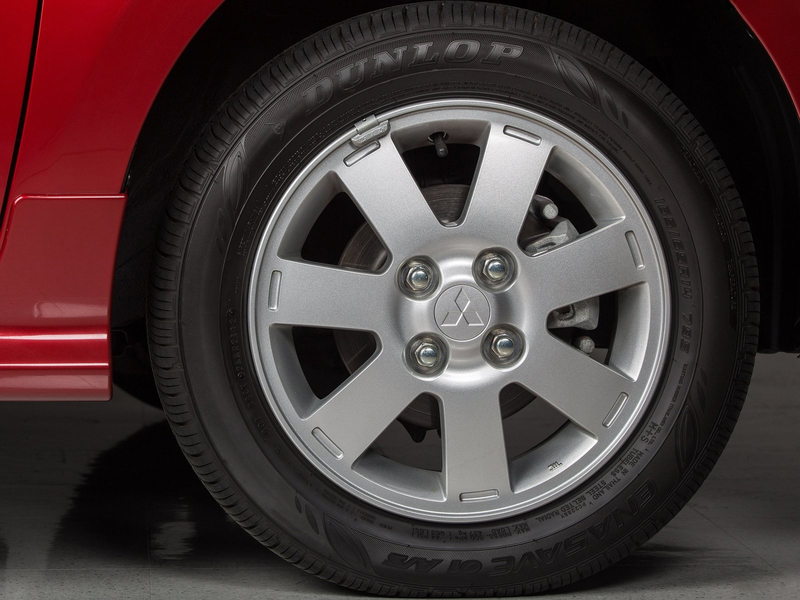 Lancer variants diverged with more angular styling characterized by the more upright design. 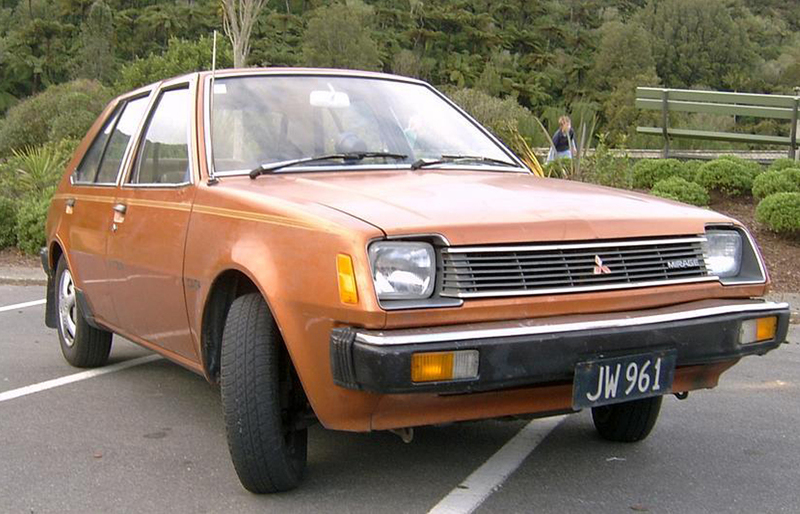 The Lancer also featured re-shaped fenders, less rounded headlamps, and a larger dual-port grille. 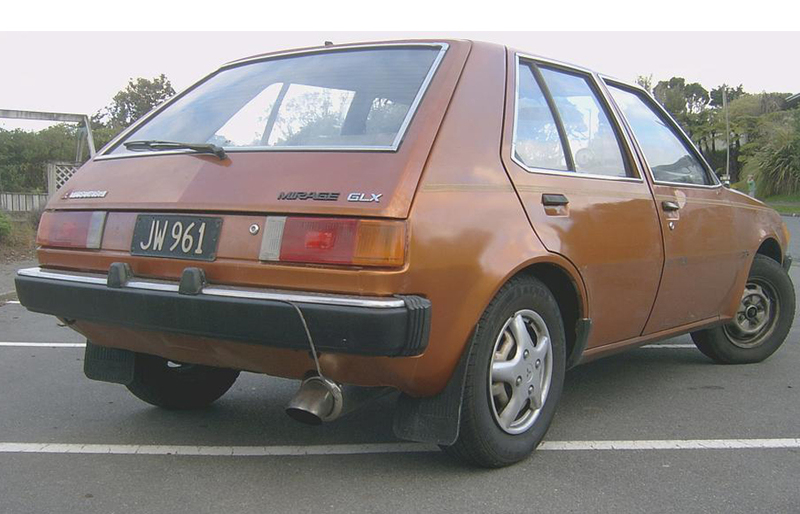 Although both were built on the same platform, the Japanese-specification Lancer sedan received different sheet metal than the Mirage equivalent. More traditional in silhouette, the Lancer sedan (suffixed Vie Saloon) featured a simple four-window glasshouse, whereas the Mirage sedan adopted a more modern six-window glasshouse with abbreviated trunk. Naming of the various models for export was many and varied. As a Mitsubishi, the three-door was restricted to the Mirage and Colt names, but the Mirage Asti coupé was often badged Lancer as well. With the sedan, export markets only retailed the four-window variation, although this occurred under both the Lancer and Mirage names. 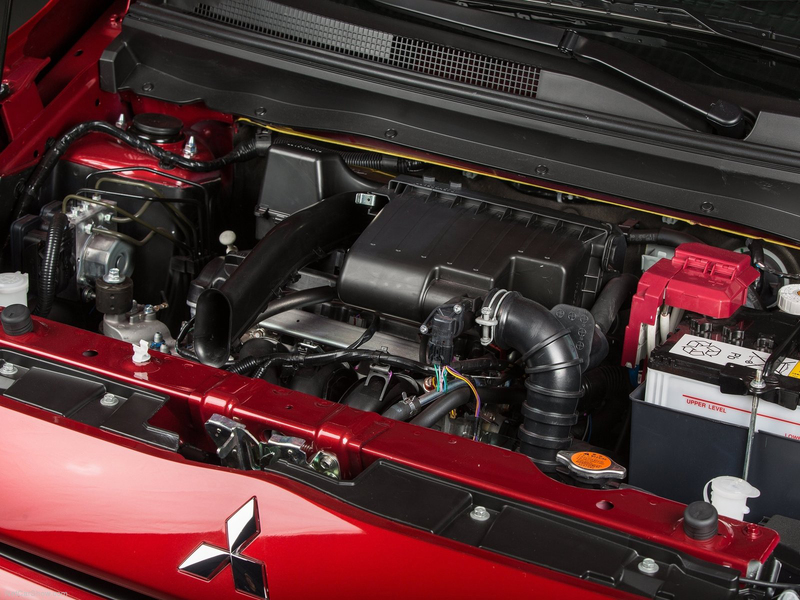 Mitsubishi's powertrain choices were vast with this new platform. Front-wheel drive was most common, with all-wheel drive available for some models. Engines ranged from 1.3- to 1.8-liter naturally-aspirated gasoline inline-fours, 1.8 and 2.0-liter turbocharged versions of the same, plus 1.8 and 2.0-liter diesels. Notably, a gasoline V6 engine variant was also offered, displacing just 1.6-liters, making it the smallest mass-produced V6. 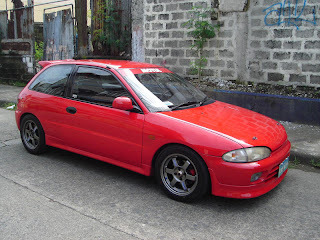 The 1.8-liter turbocharged inline-four, producing 145 kW (197 PS), was sold a "Lancer GSR" and from September 1993, formed the basis of the Lancer Evolution I that used the 2.0-liter 4G63 engine from the successful Galant VR-4 rally car. 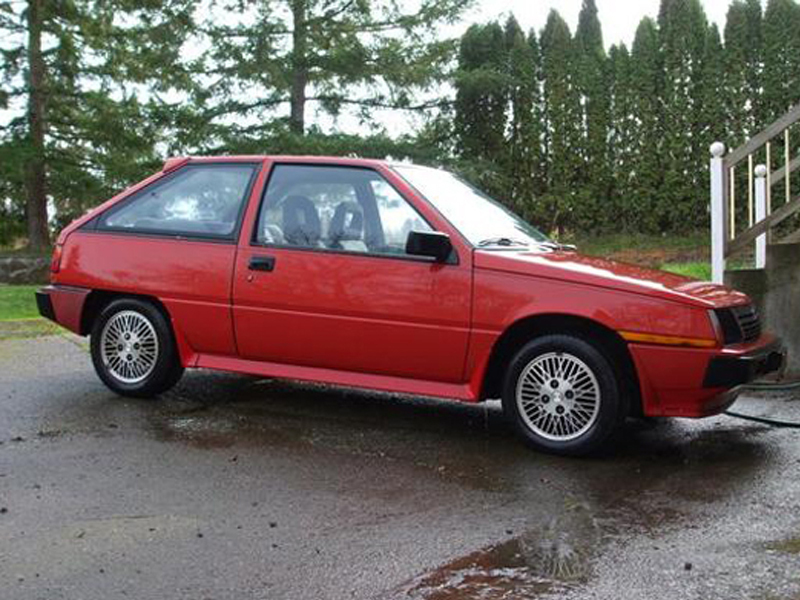 For the standard Lancer, this turbocharged 4G63 engine was an option only in the United States, but was quickly dropped in prior to the release of the Evolution I. An electric version of the wagon was released to Japan named the "Lancer Libero EV" and utilizing a nickel–cadmium battery. Australian market versions of this generation were released in late 1992 and were officially referred to as the CC series Lancer. Buyers had the choice of the Lancer coupé (available in GL and GLXi equipment levels), sedan (GL, Executive, and GSR), and wagon (Executive). Five-speed manual transmission came fitted as standard, with all variants except the GSR available with automatic—three gears for the base coupé and sedan—and a four-speed unit for the remainder of the lineup. The GL coupé and sedan featured the 1.5-liter carbureted motor, with the 1.8-liter fuel-injected engine reserved for the rest of the series. All engines except in the GSR are single overhead camshaft design; the GSR featured double overhead camshafts, plus a turbocharger and intercooler. 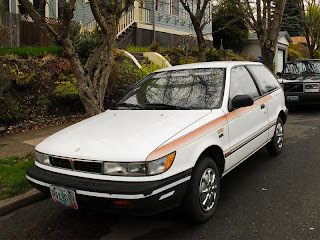 This model launched in the United States for the 1993 model year as the Mirage, with all variants now sourced from Japan (instead of Japan or Illinois as previously). The same body shapes were also sold as the Dodge and Plymouth Colt in both the United States and Canada. The six-window greenhouse sedan was sold in these countries as the Eagle Summit alongside a coupé of the same name. 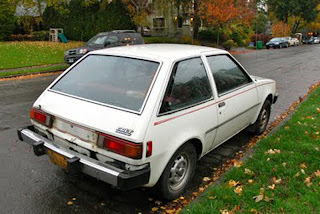 For the Mitsubishi branded versions sold only in the United States, the coupé and four-window sedan were offered in base, S, ES and LS trim levels. Five-speed manual transmission was standard, although an automatic was optional on all Mirages except the S coupé. Mitsubishi kept the preceding generation's base 1.5-liter 4G15 engine with 69 kW (92 hp), but fitted the ES and LS sedans with the new 1.8-liter 4G93 engine rated at 84 kW (113 hp). 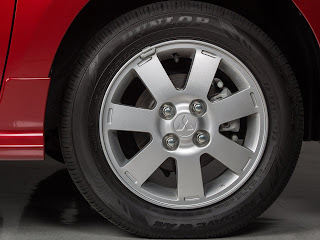 For the 1994 model year, Mitsubishi introduced a driver's airbag, the LS sedan lost its optional anti-lock brakes, and the LS coupé gained the 1.8-liter engine previously exclusive to sedans. The 1994 model year was the last year of retail sales for Mirage sedans (which became limited to fleets) and for the Dodge and Plymouth Colts altogether, although the Eagle Summit sedan and coupé remained on sale alongside the Mirage coupé through to 1996. 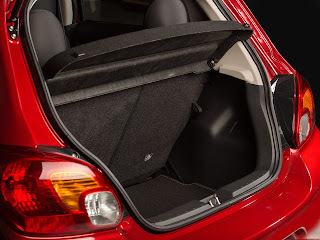 As a consequence, only S and LS Mirage coupés returned for model year 1995, and both benefitted from a new passenger's side airbag and covered center console (and therefore the deletion of the motorized front seatbelts). 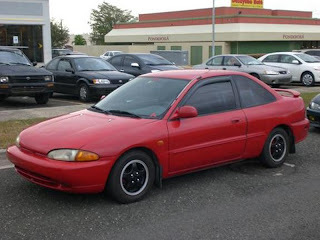 The 1995 Mirage LS coupé gained uprated 14-inch wheels, but deleted access to power windows, power door locks, and cruise control. 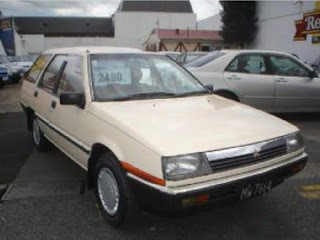 Mitsubishi granted Proton in Malaysia a license to the fourth generation design from 1993—and remained in produced in a distant form until 2010. The first variant produced, the sedan was badged Proton Wira (1993–2007) and was complemented by a Proton-designed five-door Wira hatchback (1994–2004). Malaysian manufacture of other variants commenced later, with the three-door Satria (1995–2005) and Putra coupé (1995–2000; and 2004–2005). Proton then developed a coupé utility variant which came to fruition in 2002 as the Arena, lasting until 2010. The release of the fifth generation Mirage to Japan in October 1995 introduced a rationalized lineup as a result of the fragile post-bubble economy in Japan. 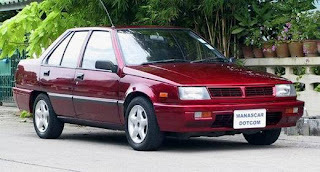 Three body types were issued: first, the three-door hatchback and sedan, then in December 1995, the two-door coupé (Asti). While the sedan grew slightly in size, the coupé shrunk modestly. 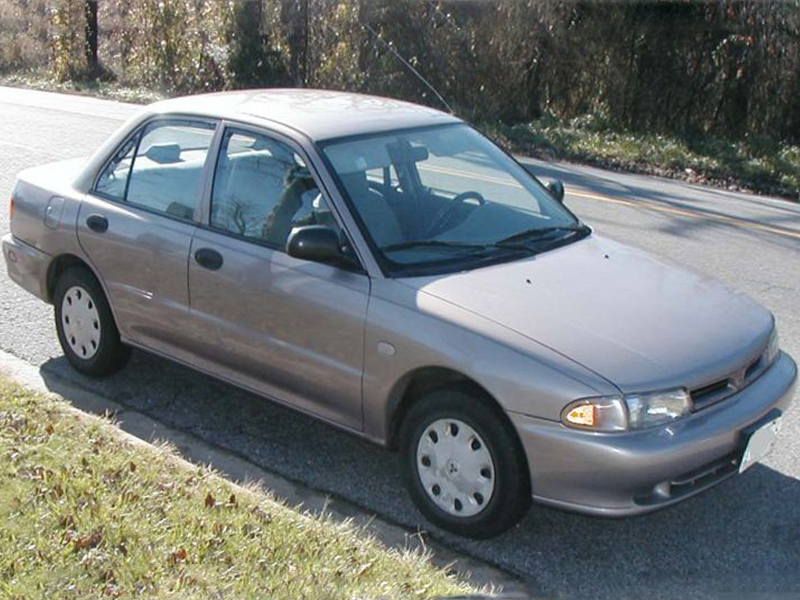 Whereas the previous Mirage sedan sold in Japan featured a six-window profile, the 1995 redesign shared its styling with the Lancer except for minor differences in trim. For the Lancer, these included a different trunk lid, amber front turn signal lamps, and a restyled grille garnish. No station wagon of this generation was offered. 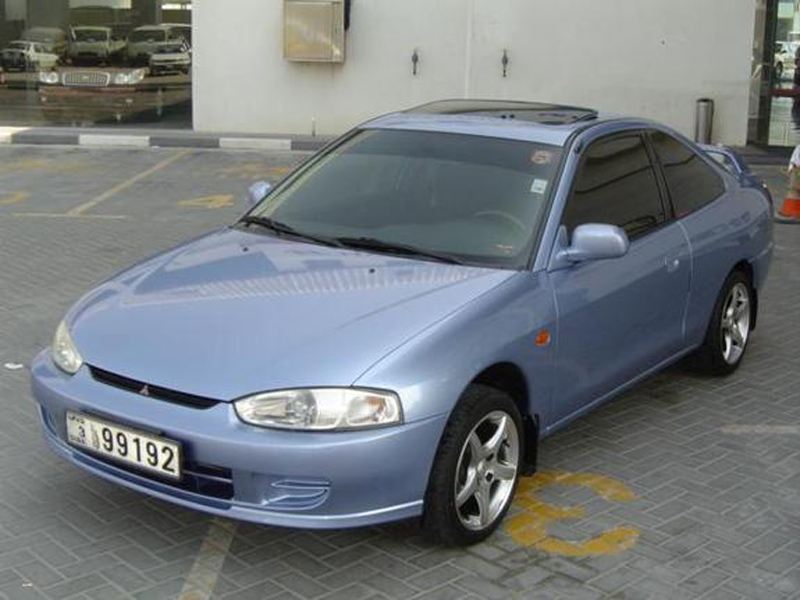 While only the sedan formed part of the Lancer range in Japan, both the coupé and sedan were labeled as Mirage and Lancer in export markets. Between 1996 to 2004, the Mitsubishi Carisma supplanted the sedan in some European markets. A minor facelift arrived in 1997. Of note, the Lancer sedan featured a new grille and reshaped inner-portions of the headlamps to better differentiate it from the Mirage donor model. Both the coupé and sedan benefited from redesigned taillamps, whereas the three-door only received a redesigned front bumper incorporating a larger grille. In 2001, the Mirage-based models gained a chrome-trimmed grille insert in limited markets. Although a new, substantially larger and more expensive generation of Lancer sedan arrived in 2000, many export markets retained the Mirage-derived model up until 2003 when Japanese manufacture concluded and Mitsubishi retired the "Mirage" nameplate worldwide. This is especially true of the hatchback and coupé which were not redesigned due to Mitsubishi's financial troubles. In other markets, the newer sedan often co-existed with the old as a more premium offering. Mitsubishi eventually replaced the three-door in 2005 for Europe only with the three-door Colt—the name previously used in many export markets to denote the Mirage from 1978 onwards. 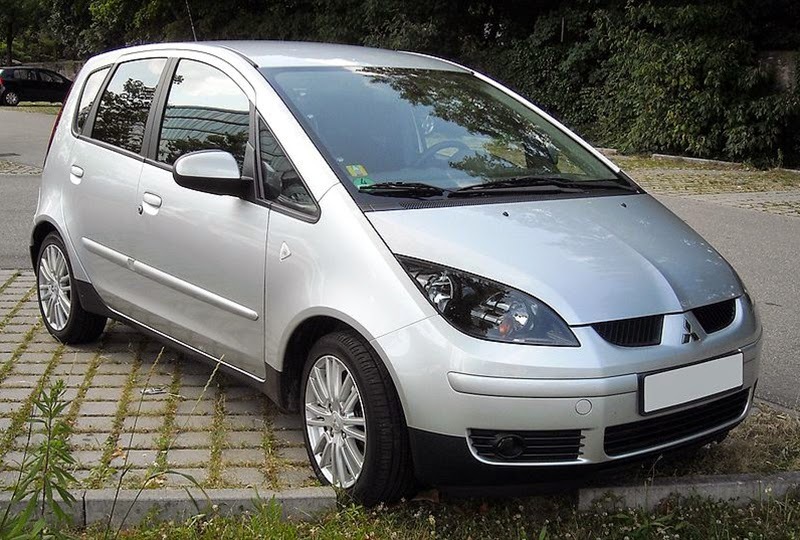 A five-door variant of the Colt had earlier been released in 2002. By 2003, the only Mirage sold in Japan was the coupé, now without the Asti designation. Mitsubishi did not tender a replacement for the coupé. European three-door CJO series models of this generation sold between 1995 and 2001 as the Colt. Sedans and wagons sold as Lancers. In the United States, the fifth generation Mirage arrived for the 1997 model year and was again available in sedan and coupé versions. The 1.5- 4G15 and 1.8-liter engines from the previous iteration returned in DE and LS trims, respectively. The 1998 model year brought a stronger starter and battery; 1999 introduced a minor facelift, plainer seat fabric; and for the LS coupé, white-faced gauges and a tachometer with either transmission (it was formerly exclusive to the manual). For 2000, Mitsubishi added further standard equipment, plus the standardization of the 1.8-liter engine for the DE sedan; anti-lock brakes were deleted from the options list. Mitsubishi renamed the DE sedan as ES for model year 2001. 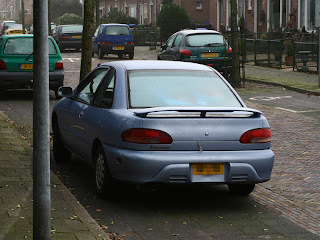 Mirage sedans were replaced with the next generation Lancer for 2002, although the coupé lingered on for 2002 in North America. The production of the model year 1999 Mirage sedans was greatly lowered due to the large demand for the Eclipse; there were only 4,783 Mirage DE (Deluxe Edition) units produced and 3,829 Mirage sedans exported for that model year. This generation was sold in Australia between 1996 to 2003, designated the CE series. Like the previous generation, this model was available as a coupé and sedan (badged Lancer), and as the three-door titled Mirage. The Lancer wagon lingered on as a CE model, despite being a facelifted remnant of the previous generation. Towards the end of its model run, Mitsubishi introduced several limited editions (based on the GLi) to remain competitive with its rivals. 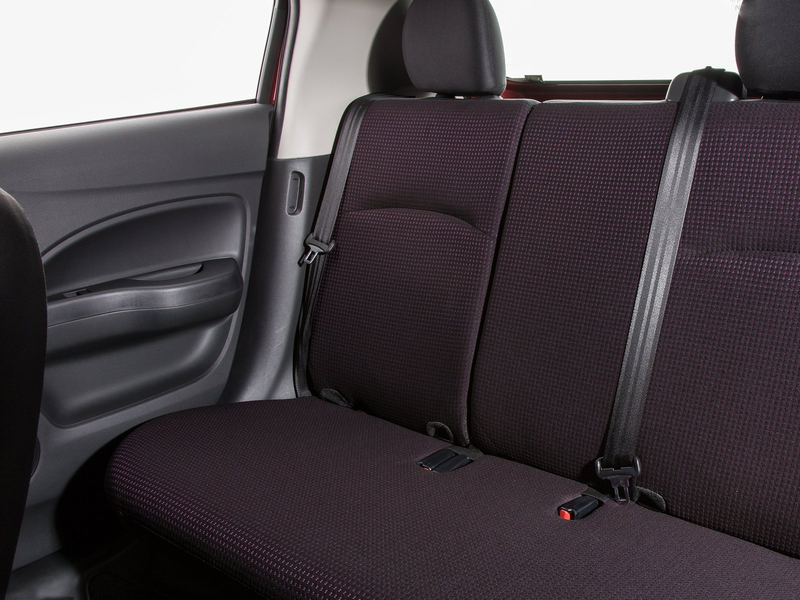 These extras such as sports interiors, alloy wheels, and body kits. 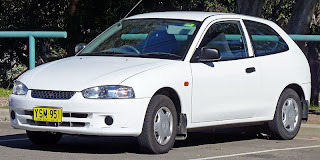 Despite the introduction of the new generation Lancer sedan to Australia in 2002, the CE continued alongside it until production ended in 2003, including the sedan which remained as the basic GLi. The coupé was now only available in GLi and MR trims. 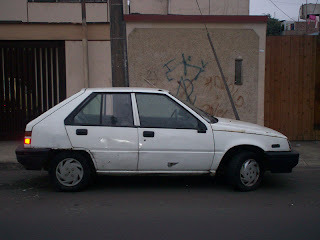 Venezuela received this series in 1996 as a Lancer where it remained until 2004. After this, when the new Lancer entered the market and local production of the old sedan commenced under the Mitsubishi Signo name. Variants of the Signo comprise the base 1.3-liter GLi, and the 1.6-liter "Plus" and "Taxi" trims. This series also entered Indian production in June 1998 as the Lancer, assembled by Hindustan Motors. Available model variants are LX sedans with either the 1.5-liter gasoline engine or 2.0-liter diesel. 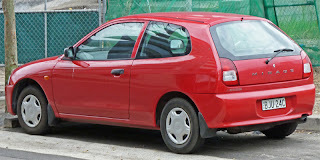 When Mitsubishi introduced a new independent generation of Lancer in 2000 (without a corresponding Mirage), the old Mirage-based sedan was discontinued in Japan, although production continued for export. 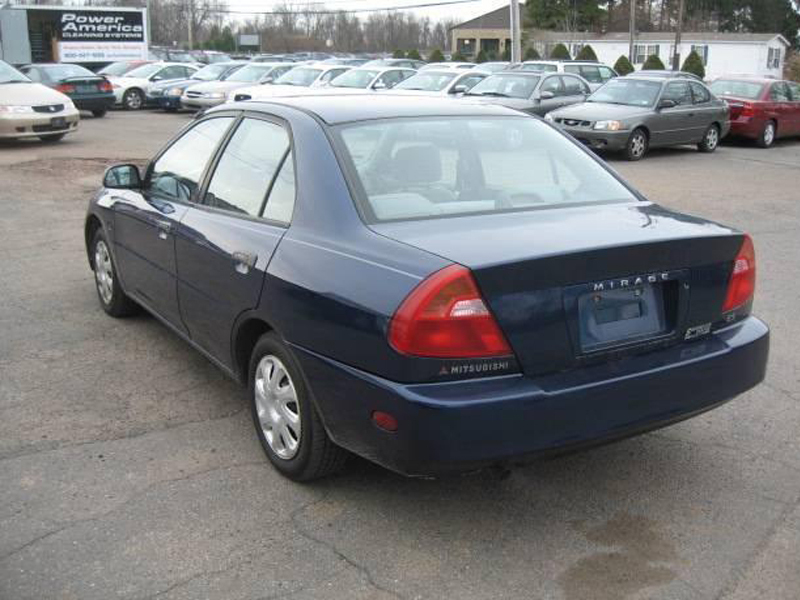 The next phase in the Mirage's demise was the release of the Colt—a five-door hatchback—in 2002. 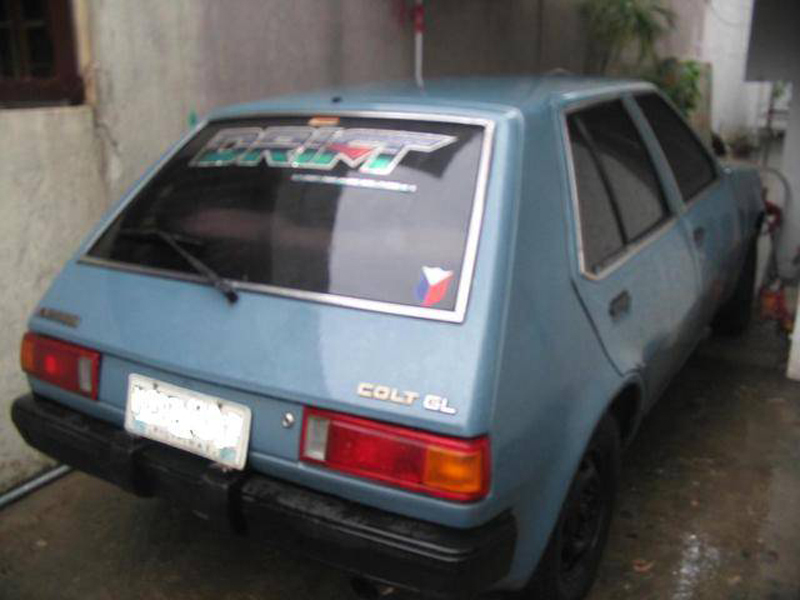 The Colt replaced the Mirage hatchback, despite the latter being a three-door. Unlike its predecessor, the Colt featured a tall, upright design with a short engine compartment to maximize interior dimensions. Engines for the Colt comprised 1.1-liter three-cylinder, plus 1.3-, 1.5-, and 1.6-liter gasoline inline-fours with a standard five-speed manual and optional continuously variable transmission (automatic). Sales in export markets did not occur until 2004, with production in Japan no longer being the primary source. European models were instead sourced from Born, the Netherlands with a three-door body produced exclusively at this factory from 2004. 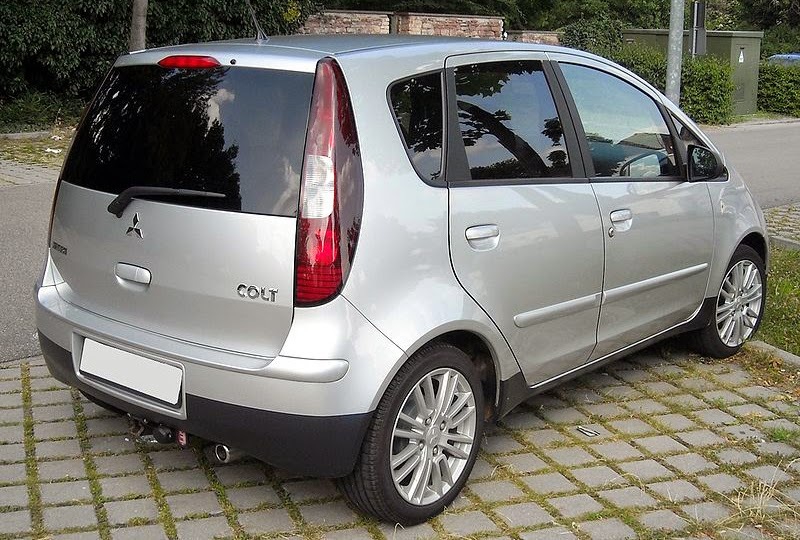 Also in 2004, the Colt Plus was launched as a longer version of the standard five-door with greater luggage capacity. Then in 2006, the range expanded further with the release of the Colt CZC—a convertible with a retractable hardtop roof. Colt convertibles were produced only at the Netherlands facility, with final assembly taking part with Pininfarina at Turin, Italy. Manufacture of the Colt ended in 2012, with the successor model reverting to the Mirage name internationally. Unlike the Colt's expensive architecture shared with the Smart Forfour, the emphasis on the Mirage is low pricing to increase Mitsubishi's presence in emerging markets. 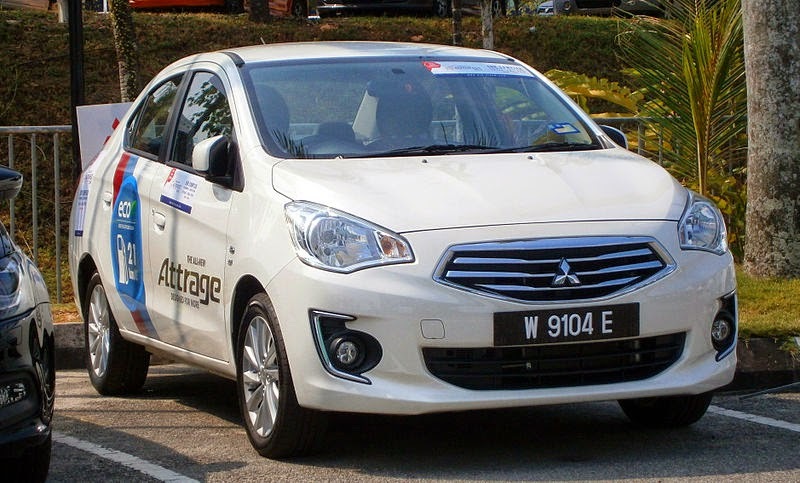 The Mirage is built at Mitsubishi Thailand's Laem Chabang plant, facility number three. Shipments to Japan began in July, with the Australian hitting the market in January 2013. 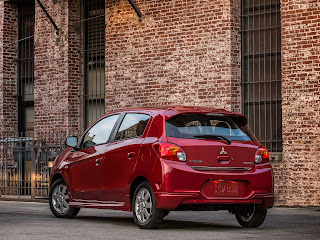 In designing the Mirage, Mitsubishi's objectives were affordability (including in developing economies) and high efficiency to address increasing global fuel economy and emissions standards. 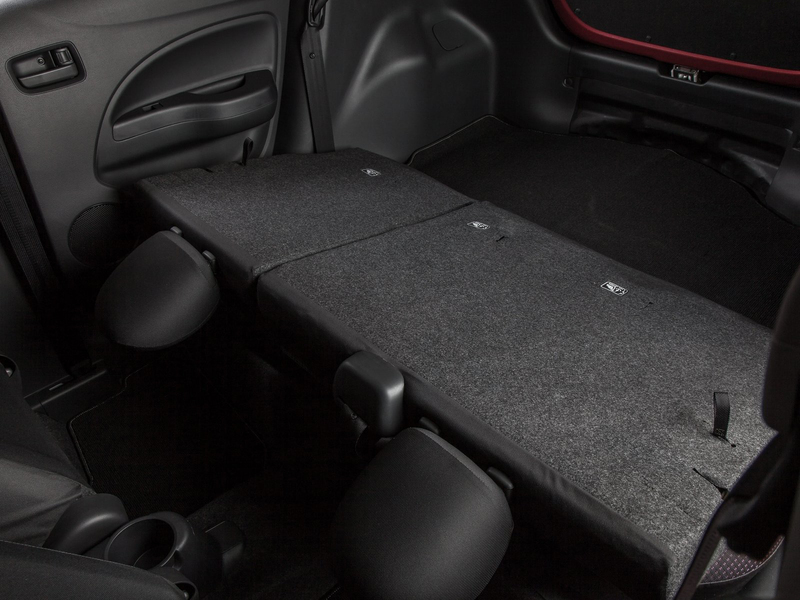 To aid efficiency, minimizing vehicle mass was one engineering focus. "Painstaking efforts to reduce weight", including the use of high-tensile steel in the body, resulted in a vehicle that is the lightest in its segment in some markets. 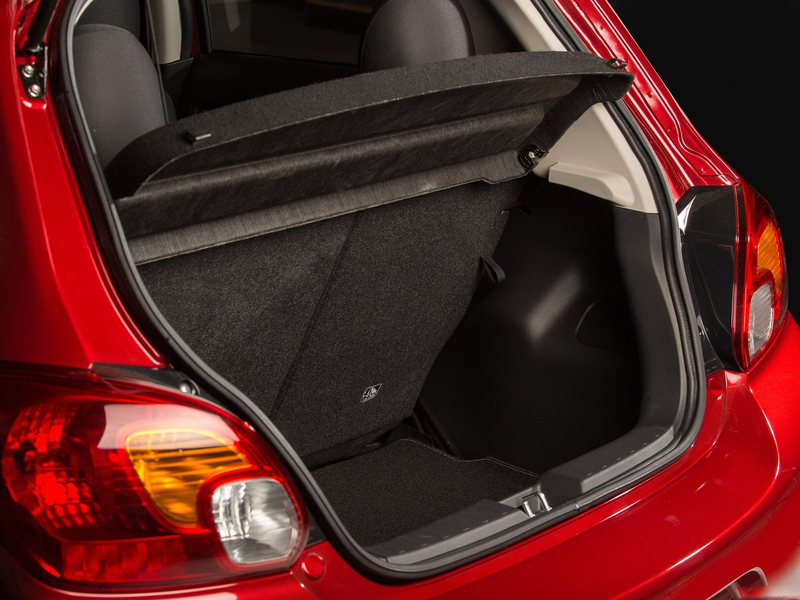 In North America, it is the lightest 4-door car available (only the 2-passenger Smart Fortwo is lighter). Reducing aerodynamic drag was another primary design goal. One of the car's aerodynamic features resulted in a new patent application. The result is the lowest drag coefficient (Cd) in its class: depending on drivetrain and options, the car's Cd ranges from 0.27 to 0.31. Early Japanese model includes 1.0-liter 3-cylinder engine with Auto Stop & Go (AS&G), CVT transmission, 165/65R14 tires. The 1.0-liter three-cylinder car for the Japanese market achieves 27.2 km / L in the JC08 cycle and will have a sub-1 million Yen price tag. The Thai market model was unveiled at the 2012 Bangkok Motor Show. Thailand model went on sale in 2012-03-28. The Thai model features a 1.2 L three-cylinder naturally aspirated gasoline engine with start-stop, fitted with a CVT or manual transmission. In the Philippines the Mirage was introduced in mid-2012 in 4 different variants, GLX (base) and GLS (top) spec levels both available with either a 5MT or a CVT, all models powered by the 1,2 liter engine. In late 2013 the sedan version called G4 was added to the lineup, also available in the same 4 variants as the hatchback. In its first full year of sales, 2013 the Mirage reached a place as the 6. best selling car in the country and the best selling hatchback. The North American edition was unveiled in 2013 Salon International de l'auto de Montreal. Despite previous speculation, the car will be marketed as Mirage in the United States and Canada for the 2014 model year. Canada/U.S. models include 1.2-litre three-cylinder MIVEC engine, five-speed manual or CVT transmission, choice of 8 body colours (Green Metallic, Dark Grey, Blue Mica, Red Metallic, White, Cool Silver Metallic, Purple, and Black Mica). The Mirage was met with negative reviews in Europe, Australia, and North America. Matt Jones of Top Gear magazine rated the car 2 out of 10, commenting that "it's truly, profoundly terrible. The steering is slow and vague. It rolls extensively. Grip levels are non-existent. Every lump and ruffle in the road is transmitted directly to your backside. It's inexcusably noisy. Hell, there's so much slack in the steering that you can't tell which way the wheels are pointing..." What Car? magazine gave the car two out of five stars, citing that "there’s loads of wind noise and many rivals are better to drive. 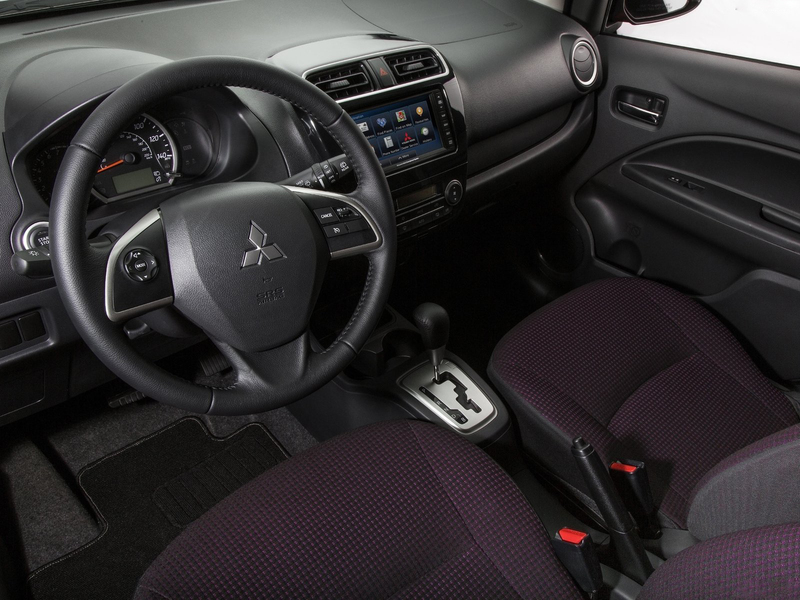 The interior feels cheap, there’s limited adjustment for the driver and Mitsubishi has a disappointing customer satisfaction record." Auto Express also rated the Mirage two out of five stars, commenting that "the vague steering and poor handling place it at the bottom of the class for driving dynamics, while the interior looks and feels cheap. It's also quite expensive to buy and lacks the refinement and practicality of the best cars in the class." Ollie Kew of Car Magazine also gave the car a two out of five star rating, describing it as "too below-par to drive and noisy at speed to recommend in a class that contains the VW Up and its brethren, and it feels the heat too from the better-value Korean opposition." Sam Wollaston of The Guardian gave the car a Cool Factor rating of 3 out of 10, commenting that it "handles and corners like a bloody jellyfish." Peter Anderson of The Motor Report gave it two-and-a-half out of five stars, commenting that it is "neither the best nor the worst in its segment, but is closer to the latter." The Mirage ranked third in Edmunds.com's 100 Worst Cars list. 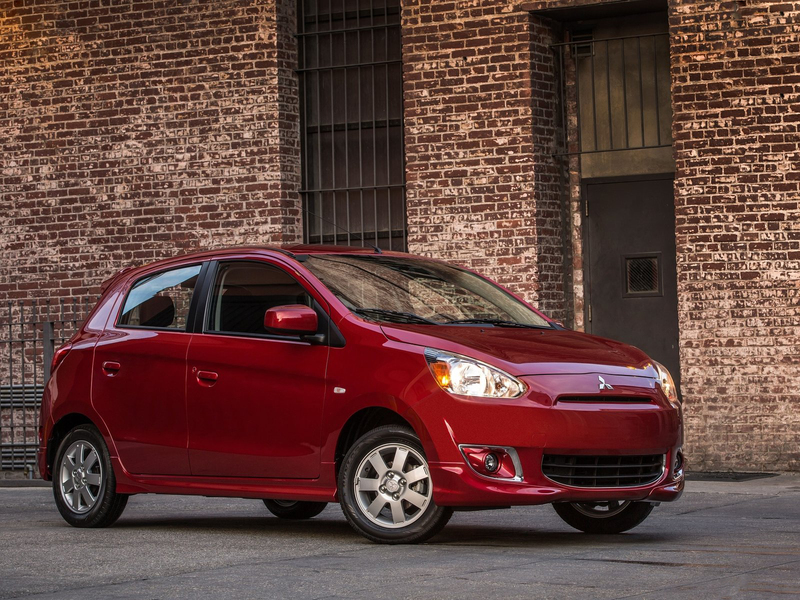 Consumer Reports placed the Mirage among the 10 Worst Cars of 2013. The Mirage was awarded the "2012–2013 Car of the Year" by the Car Awards Group in the Philippines. Top Gear Philippines rated the car 18 out of 20, and stated, "For the single person or young couple on a budget, the Mirage is still the sweetest deal in town." 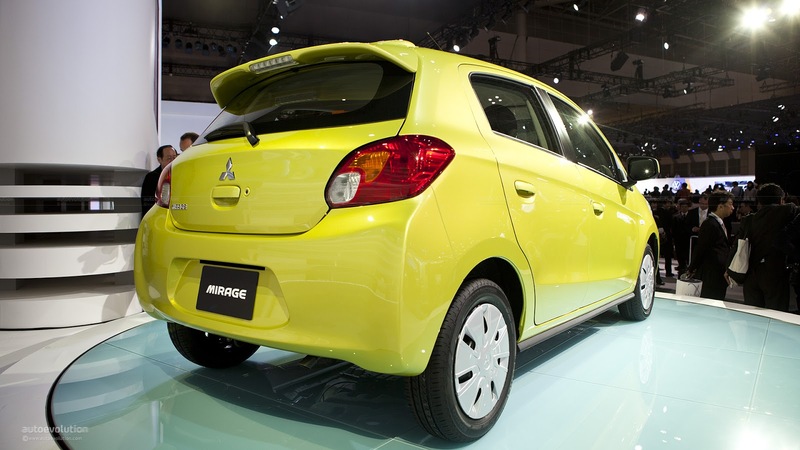 The Mirage was named one of Forbes magazine's 12 Greenest Cars of 2014, and was one of two non-hybrid vehicles on the list. GL, GLX, GLS, GLS Ltd. 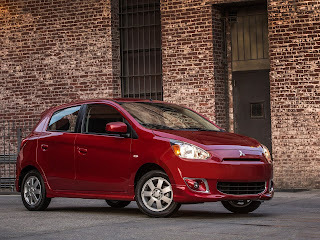 The sedan version is called the Mitsubishi Attrage, Mitsubishi Mirage, or Mitsubishi Mirage G4. Introduced in 2013, it is based on the hatchback, although is unique from the back doors rearwards, and has revised frontal styling. It is manufactured at Mitsubishi's Laem Chabang plant in Thailand. The car was first introduced as a concept car at the 2013 Bangkok Auto Show called the Concept G4 sedan. Like the hatchback, the sedan is offered with a 1.2-liter engine. According to Masaaki Yamada, senior adviser for Mitsubishi Motors Philippines, the car will use the Mirage G4 name in the Philippine market, as the Attrage has a negative connotation in the Filipino language. The Mirage G4 was released in Philippine dealerships on October 2013. Last updated on 10 July 2014 at 02:47.